I’ve been working on this rerelease for quite some time now. Since debuting in 2015, I’ve learned a lot about the writing, editing, and self-publication process. Naturally, that means I’ve grown and learned from my mistakes. I’ve developed higher standards. When I first published Blood and Water, I was going through a difficult time. I was alone in Florida, working at a job I hated, depressed and suicidal. Finishing that novel was one of the only things that kept me going. I was determined to put my work out into the world—to let it spread its wings and fly when I myself was trapped. At that time, I was more concerned with getting it published than getting it right. If I could just get it out there, everything would be okay. So maybe I rushed (I totally did). I put something out I wasn’t totally satisfied with. And that truth has been driving me crazy ever since. As I think more on the importance of legacy, I’ve realized how much I wanted to ensure the best product possible goes out into the world. That’s my biggest reason for deciding to rerelease. Now, I have the time, and I’m publishing the book I wanted to in the first place. 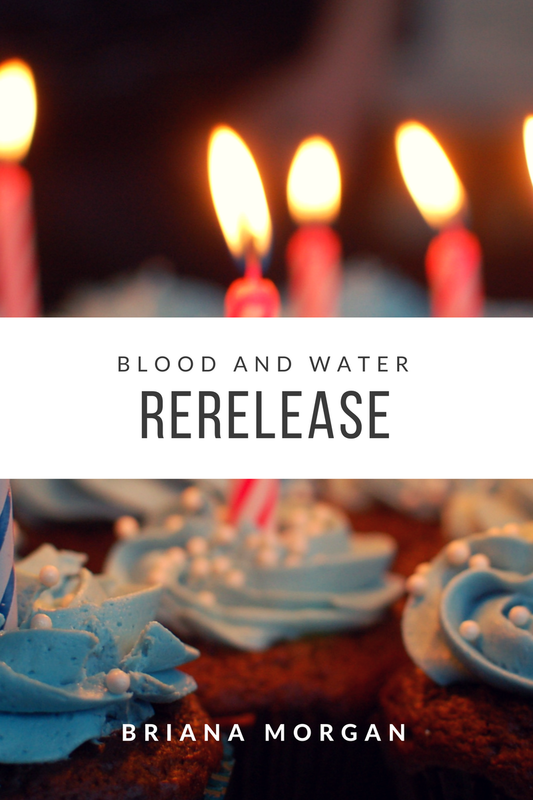 The revised edition of Blood and Water is now available in ebook form. You will also be able to purchase it in paperback, hopefully soon. This new edition contains some new scenes, a few hints toward the sequel, and so much more. Thank you all for being so patient with me. I promise this book will be well worth the wait.